Are you looking for robust handmade storage furniture? If you are fed up with flat packs that wobble or furniture that doesn’t quite fit your home, The Sussex Bookcase Company is here to help. We offer a choice of finishes including solid wood, solid wood veneers and painted. You can choose to commission modern designs or reproduction classics. 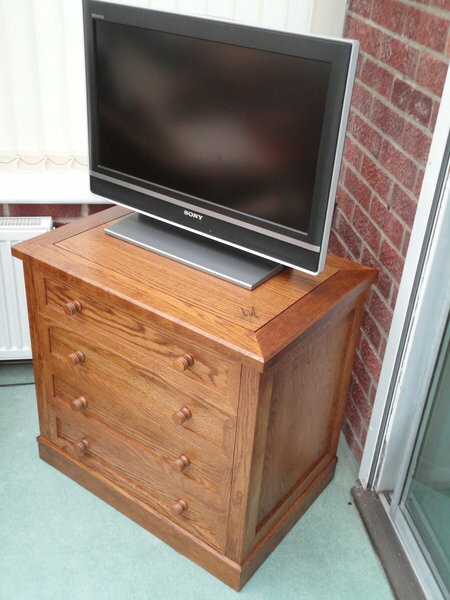 Fitted or freestanding, whatever sort of storage furniture you select, you can be confident that it will last. Make the investment in storage for your home and you will feel the benefits every time you use it. 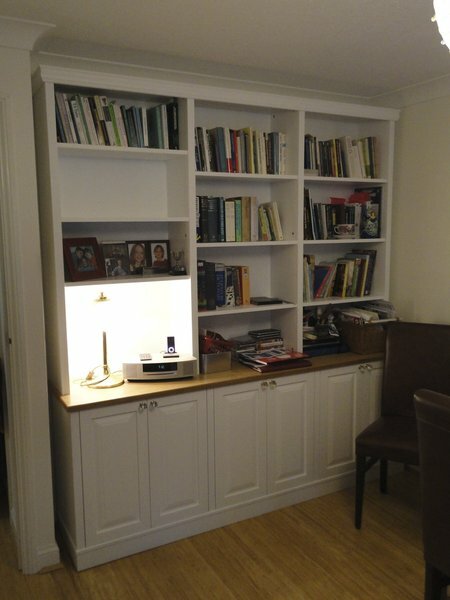 Our bookcases and cupboards can be designed to fit small and awkward spaces. We can also design feature furniture and create family heirlooms. 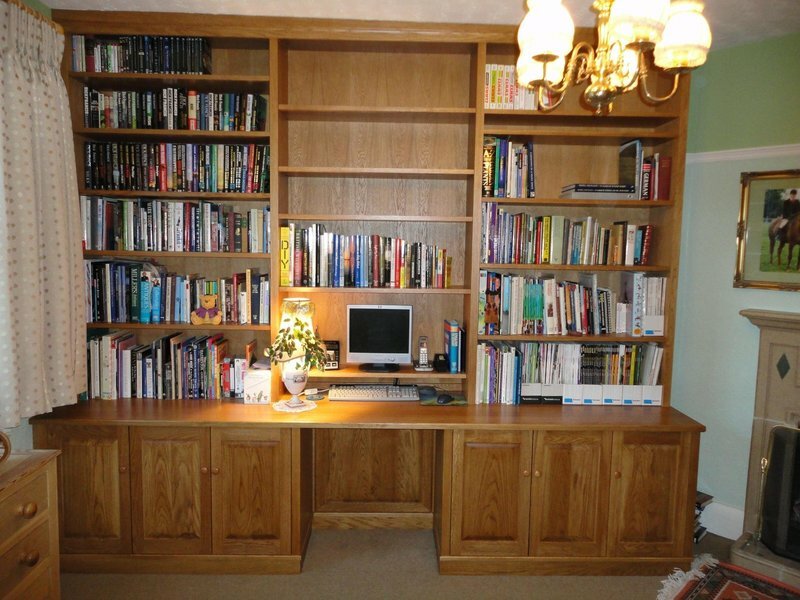 To see further examples of our work and more information about The Sussex Bookcase Company please go to our website before getting in touch to discuss the furniture you would like made for your home. We wanted to turn our small upstairs bedroom into a library room and tasked Nick with building fitted bookcases on three walls. He came to measure up (the room had sloped ceilings and wasn't exactly level!) and then made the finished bookcases in his workshop at Bodium. He took great care to match to a really deep F&B red, bringing samples across for me to colour match and exploring different combinations of primer and top coat until he and I were both satisfied completely with the finish. 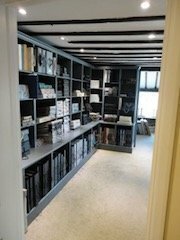 When Nick came to fit the bookcases he was very careful with our newly decorated home and has made a superb job of the whole project. We are delighted with the quality and craftmanship of his work and would not hesitate to recommend him. We are now working with him on a new project for fitted wardrobes...which we will have to wait for as he's busy until October! Thrilled with new bespoke bookcases! We contacted Nick Holt at Sussex Bookcases in the autumn of 2018 to request his help with some bespoke shelving and storage in our dining room. 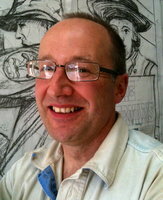 Nick was busy, which is always a good sign, but he visited us in December for an initial consultation and design brief. We had several contacts with him prior to finalising the design. Nick was extremely helpful, both taking on board our ideas and suggesting his own until we arrived at a final design ready for him to go to manufacture. During the manufacturing process, Nick was very thoughtful and thorough and asked to visit on at least two occasions to ensure we were happy with the detail of what he was making for us (even bringing sample pieces for us to see and approve) and also emailing photographs of the build as he went along. Installation of the furniture was in February and was done meticulously and on the expected schedule. Nick took every care of our property and respected our home, using protective coverings and cleaning up as the work progressed. We are thrilled with the finished product, which suits all the requirements of the brief and looks perfect. We would not hesitate to recommend Nick and will most definitely be using his professional services again when the time comes. We needed a radiator cover and couldn't find much that we liked as stock items. Having used Nick for 3 lots of wardrobes in the past, we went to him for the rad cover. It ended up exactly as we wished, matched our other items and although it is not cheap, it is good value for the quality of workmanship. This was the 3rd time we used Nick's service, and as before he came up with the goods. Nick made us a bespoke, mobile kitchen butchers block. We had a general idea of what we wanted but he took that idea and designed and built a unit that gave us exactly what we wanted to a very high quality that is defiantly not available off the shelf. This is the second time that Nick had incorporated other materials into his designs, the first time he incorporated a glass display units and this time he incorporated a granite top demonstrating his versatility. He also took the time to ensure that the colour match and finish was a good as it possibly could be.. I would have no hesitation to recommend him again, and have already booked him for wardrobes next year, where again we have our own ideas which Nick has embraced. Nick was attentive to our specifications and suggested design enhancements, from beginning to end there was excellent communication with queries being answered promptly. The work was done to the highest standard. During installation, Nick was tidy, friendly and courteous. An excellent job. Absolutely reliable. High quality work. A wardrobe was delivered and installed to my spec. It was very well constructed and finished. The installation was difficult (due to very restricted access), but the problems were overcome carefully and efficiently. I would recommend this company to anyone. 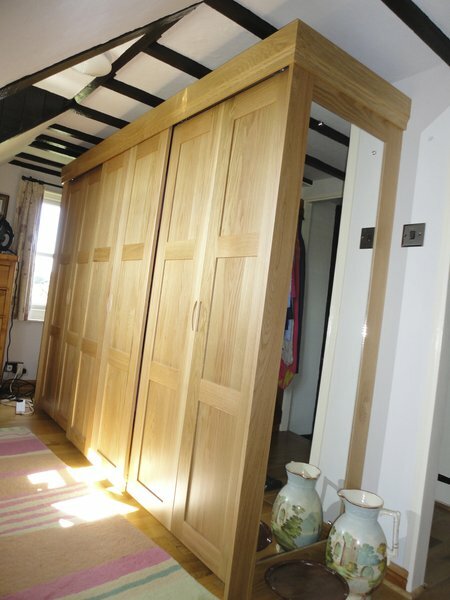 Nick made some new doors to fit onto existing built-in wardrobes - they are lovely and exactly what I wanted. He was able to advise on what we needed and was friendly and kept us up to date with his progress all along. Would definitely recommend. Requested four Bespoke cabinets to fit into existing spaces. Immaculately finished and installed. Kept me updated throughout the design phase. Couldn't be happier with result. Nick was extremely professional from first contact to completed project. His work was meticulously executed and I am so pleased with the finished result. I wouldn't hesitate in recommending. 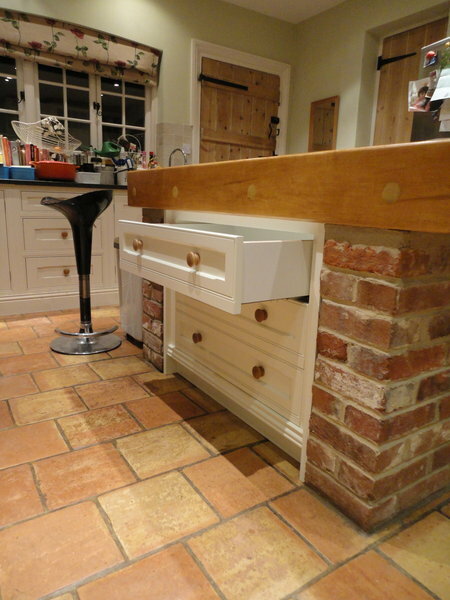 Many thanks Clare, I have thoroughly enjoyed making and fitting your pieces of furniture. 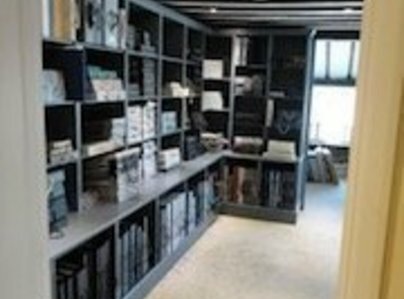 I would also say that anyone wanting superb soft furnishings should have a word with Clare at Langdon Interiors of Cranbrook. Nick made and installed a hanging bookcase which he brought already painted. He also solved a tricky situation by making our store cupboard (part of an in-built kitchen unit) mouse-proof adding another layer of wooden structure inside and he consented to tighten and secure Ikea chairs where the fitting had got loose as well as carry out other minor jobs which were important to us but really beneath his level of expertise. We were very grateful for his first-class service and will definitely use him again when the need arises.